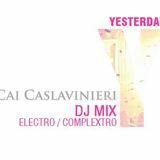 Cai Caslavinieri feat. 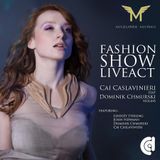 Dominik Chmurski - "Mazurek Mańka FASHION SHOW LIVEACT"
Cai Caslavinieri is a composer, music producer, musician and DJ from Warsaw, Poland.He’s been performing in clubs for over a decade. In his own work he uses modern sounds, which he successfully combines with classical as well as instrumental music. Throughout his career he has performed regularly at best and already legendary Polish and Ukrainian clubs like: HotL, Tomba Tomba, Klub55, Piekarnia, Klatka, Luzztro and many others. He also performs abroad. He had the opportunity to support such stars of the club music as Dr. Kucho, The Shapeshifters, Future Funk, Mike Grant, Johnny Mikes, Tom Budden, Terry Church and Phil Drummond. 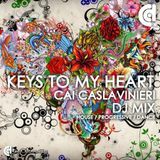 Cai also performed in large music festivals as Przystanek Woodstock 2013 and Woodstock Ukraine 2013. 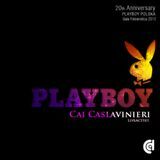 His own tracks as well as remixes were published together with achievements of such artists as: Kamil Bednarek (PL), Puppet Rebellion (UK), Haydamaky (UKR), Apollo 440.